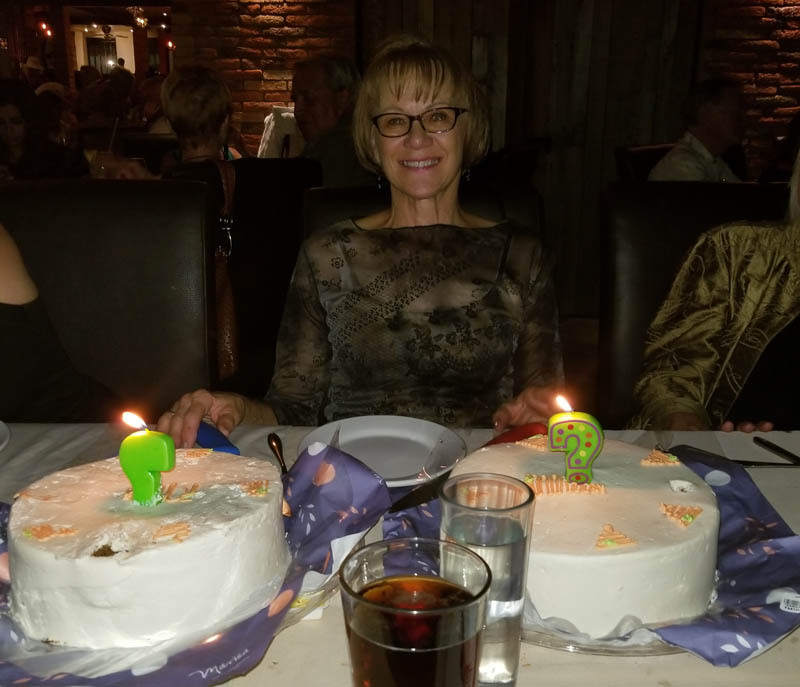 We used our traditional Monday evening at Adelitas for the celebration we had for Glorine's birthday. 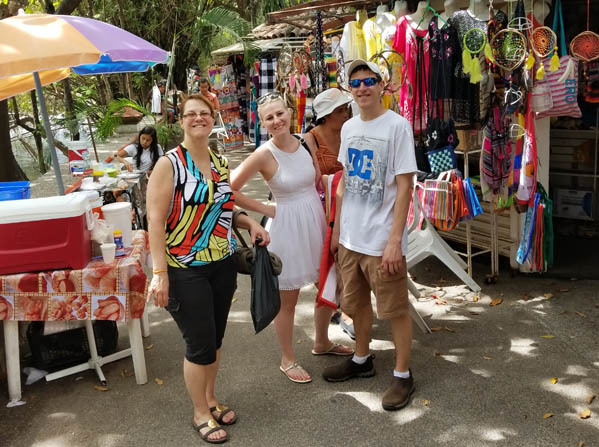 In addition to a birthday party, March included hosting company from Minnesota, conducting the third annual Career Day at Chapala Preparatoria, packing for our trip to South America and getting our house ready to rent out over the summer. 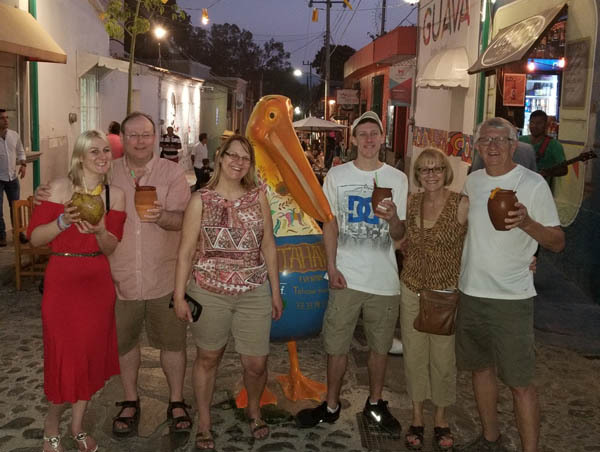 From left to right is Sara, Paul, Patty (Larry's niece), Tim, Glorine and Larry. We are in downtown Ajijic enjoying the sights and sound of the village. We schedule dance lessons for everyone with Ricardo at his dance studio. Here he is showing Sara a couple of Salsa steps. 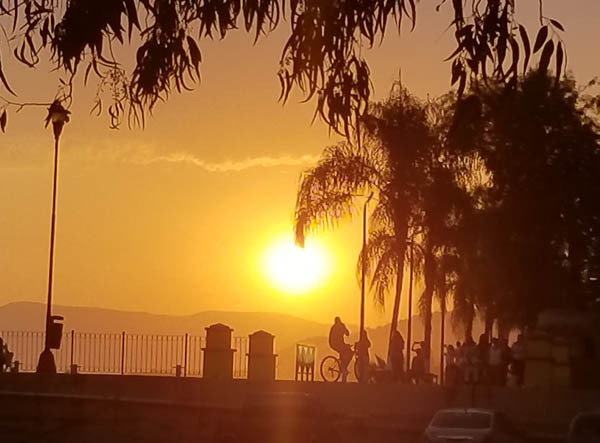 One evening we took a stroll along the Malecon and got this awesome picture of the sunset. 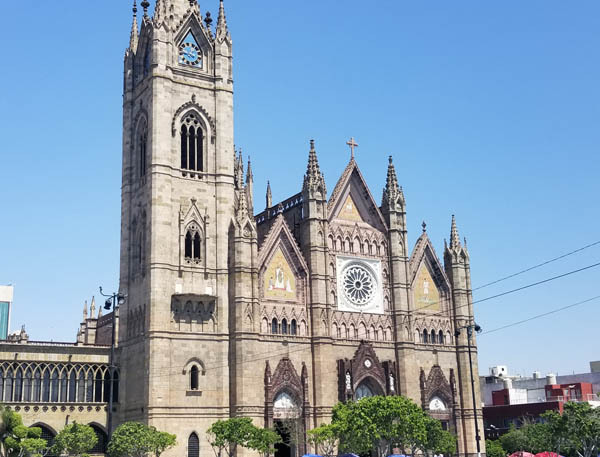 We spent a day in Guadalajara, touring the historic area, including some shopping at the Mercado, the largest indoor market in Latin America and touring this awesome church, dedicated to the Blessed Sacrament. The dance lessons paid off. 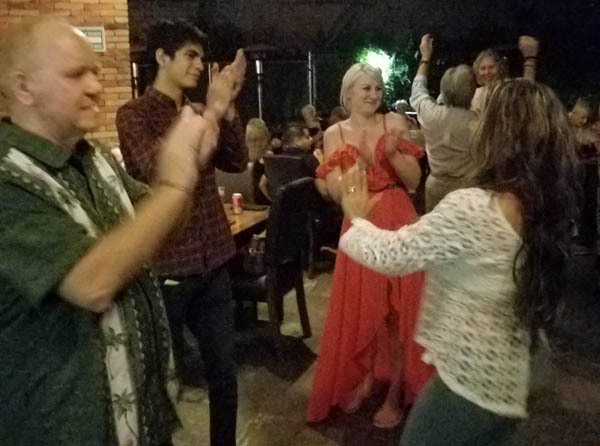 Here Sara was dancing with a young man at Adelitas. 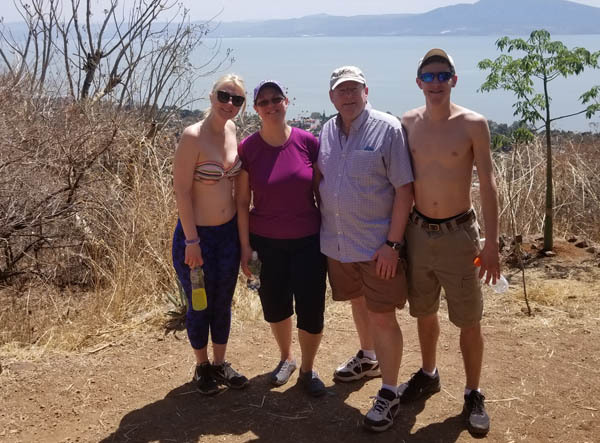 This may be the dead of winter in Minnesota, but here in Mexico, we stripped down for the hike to the chapel overlooking Lake Chapala. 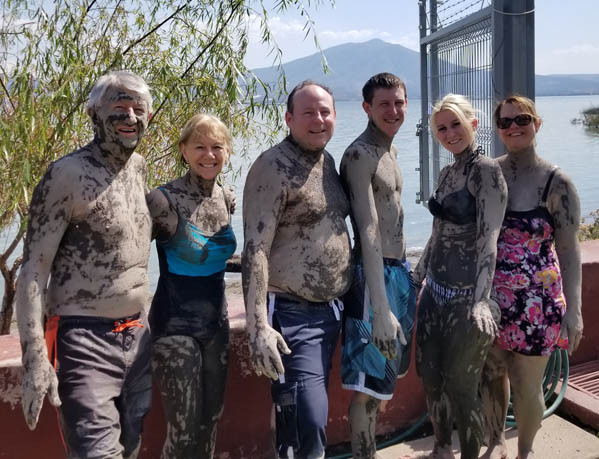 A trip to Lake Chapala is not complete without a trip to the spa in San Juan Cosala. And that includes the hot tubs and a mud bath. 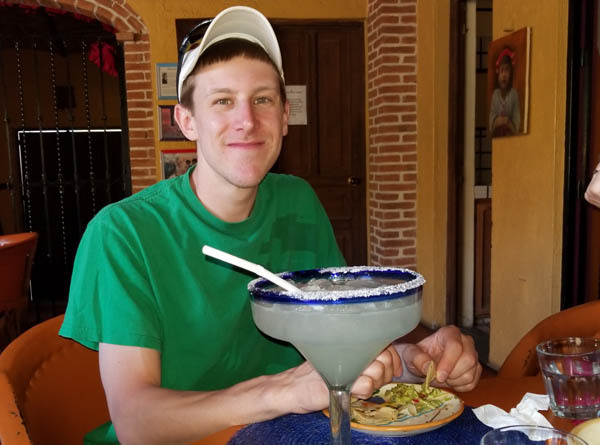 This "Grande Margarita" was a hit, especially for Tim, who took a liking to Tequila. 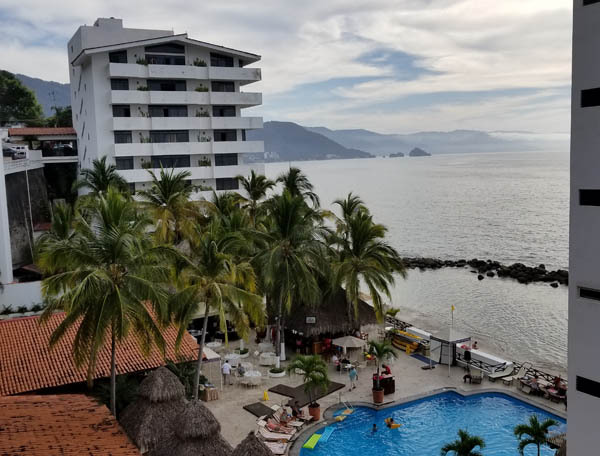 After five days in Ajijic, we took a road trip to Puerto Vallarta. 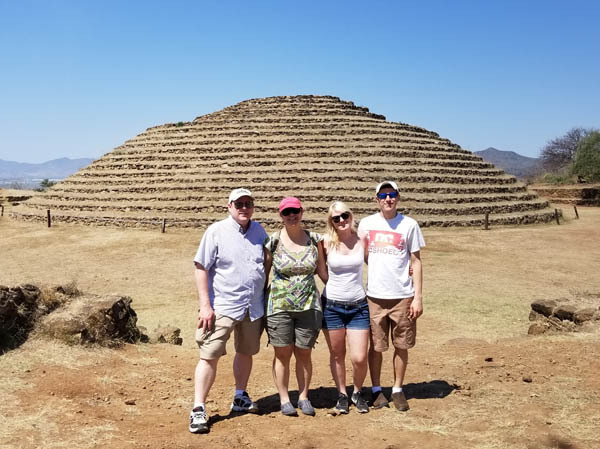 On the way, we toured Guachimontones, an ancient ruin near Guadalajara that dates to 300 b.c. 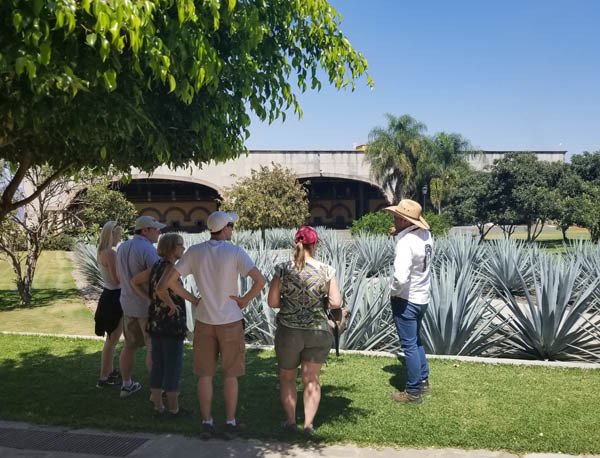 The next stop was an overnight stay in the city of Tequila. Here we toured Casa Herradura that opened in 1870, and recently was bought out by Jack Daniel's. 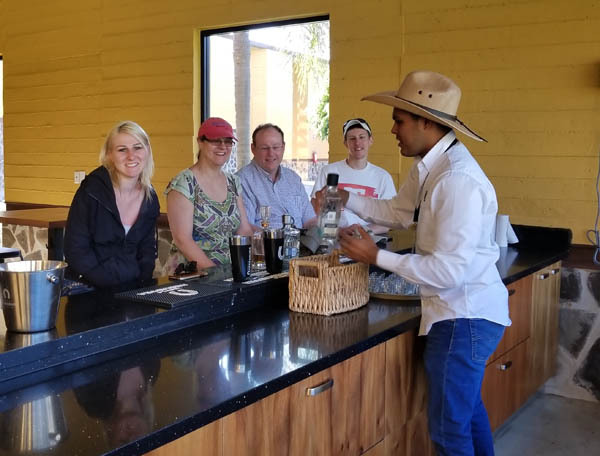 Our tour guide was Alejandro and he did a mighty fine job guiding us through the distillery, including instructions on the proper way to sip tequila. 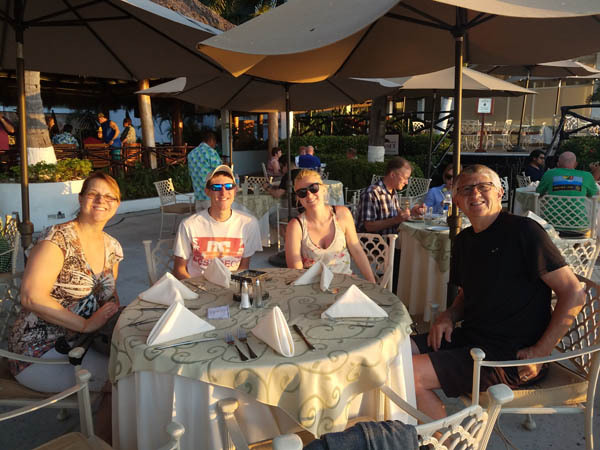 After purchasing lots of Tequila, we made it to Patty and Paul's timeshare in Puerto Vallarta in time for a buffet dinner next to the beach overlooking the Pacific Ocean. 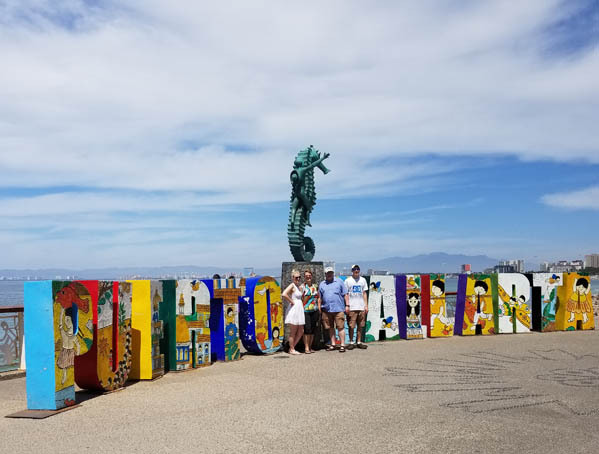 The next day, we toured downtown PV including the grand Malecon. Here the kids posed for pictures along this new sign of the city. Shopping was a treat, especially watching them work to get the best deal on blankets and dresses. They walked away pretty pleased. The Costa Sur Resort and Spa had great accommodations including a pool, hot tub and an all-you-eat option. We choose to eat out. 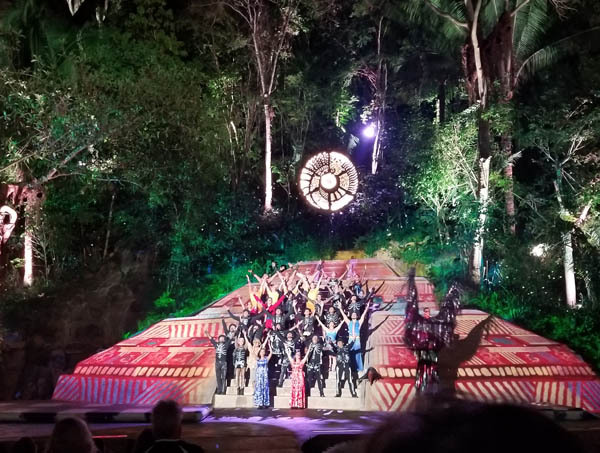 Eating out included a sunset cruise and a candle light dinner at an incredible amphitheater tucked away deep in a tropical rain forest near the town of Las Caletas. And what an awesome show it was. Click here to get a glimpse at what we watched. 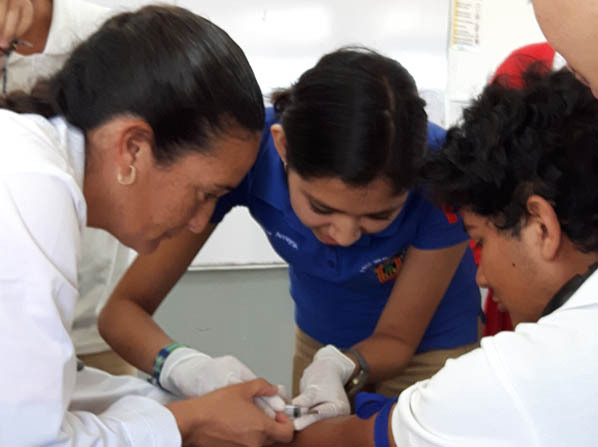 Back home in Ajijic and the big day arrived--the Career Day, that Glorine created and organized. 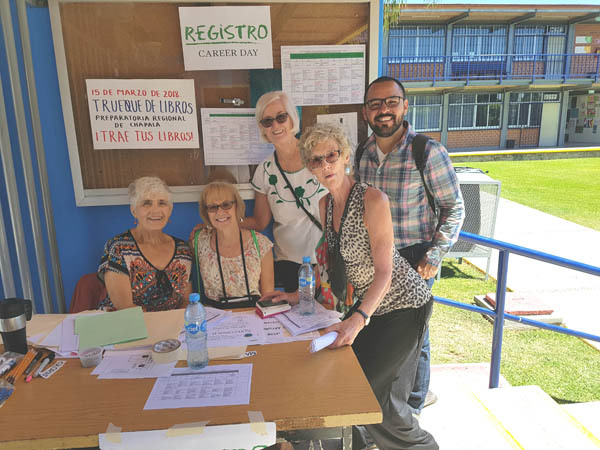 Thanks to the extra ordinary help from all the volunteers but especially Barbara Logan, sitting next to Glorine and Alfredo Perez Aldana to the right, the day was another hit!! One of the 45 professional that spoke during the Career Day, was a doctor who not only spoke, but demonstrated some of the procedures she does on a daily basis. 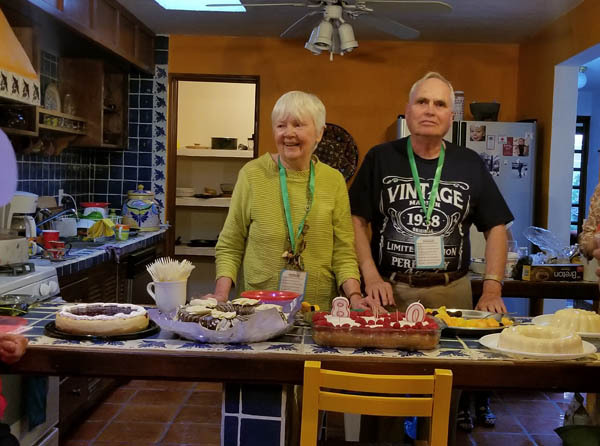 Larry volunteered for the Lake Chapala Society's Campus Committee. 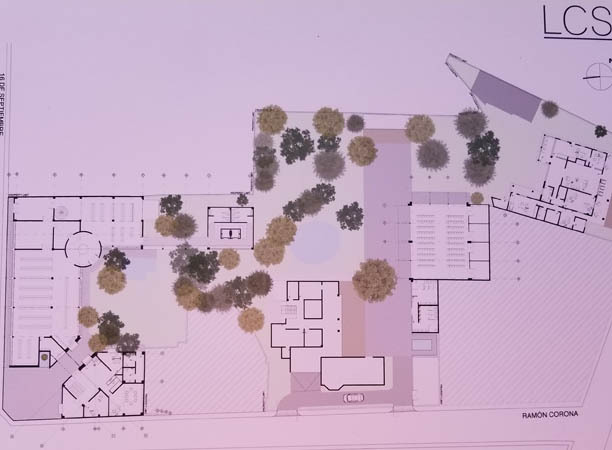 The goal is to create a master plan for the property they own along the shores of Lake Chapala. 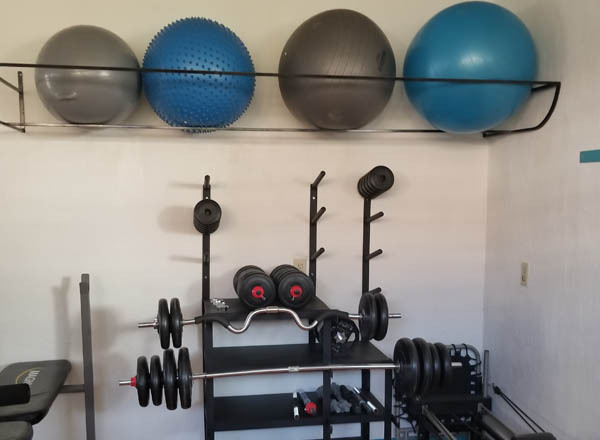 El Parque has a small gym with minimal equipment and most of the free weights, balls and mats were lying on the floor. So, Larry volunteered to design racks, which opened up lots of valuable floor space. Friends Hugh and Clair hosted an 80th birthday party for Hugh. We got to meet lots of their neighbors and family who flew in for the big celebration. 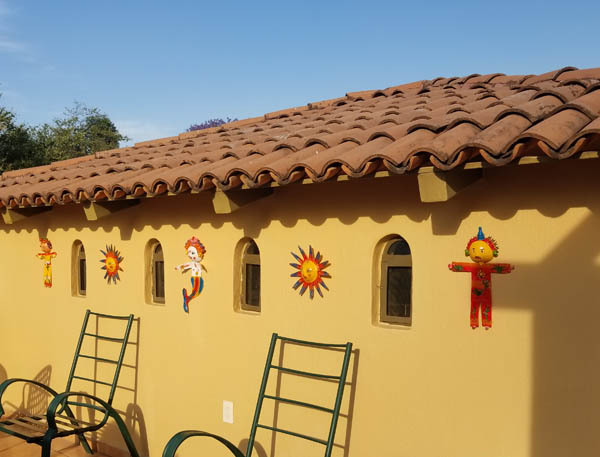 We put these five coconut shell dolls on our Mirador as a reminder of our five grandchildren. Hopefully they will all join us in December when we celebrate our 50th wedding anniversary. 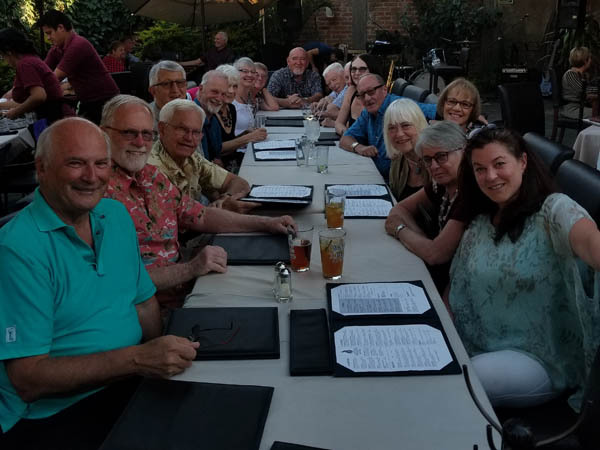 This picture was taken at Glorine's party at Adelitas with family and friends Wayne, Maureen, Ron, Jean, Marlo, Chuck, Jean, Chris, Barbara, Jim, Margo, Ross, Carol, Brian, Marilyn and Phil joining in on the celebration. 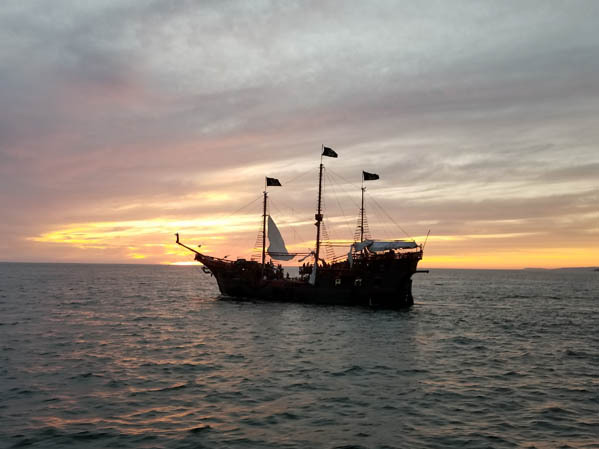 It was also an opportunity to say farewell for the season. March's web page includes March 1 through March 20.